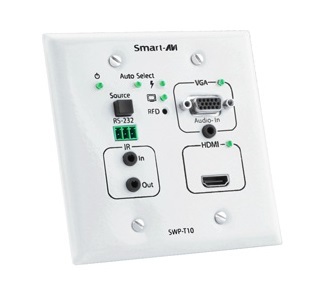 The SWP-T10 is SmartAVI’s most comprehensive all-in-one wall plate extender to date. Featuring HDMI, VGA, stereo audio, and IR extension with CAT5e/6 enhancements at lengths up to 70 meters (230 ft), SWP-T10 is a powerful extension solution ideal in a vast array of environments. Powerful, Space-saving Extension The SWP-T10's compact wall plate design ensures users save valuable workspace by concealing CAT5 extension cables within walls. CAT5 cables are amongst the most popular and reliable means of extending AV systems, boosting signal ranges by hundreds of feet at high speeds. 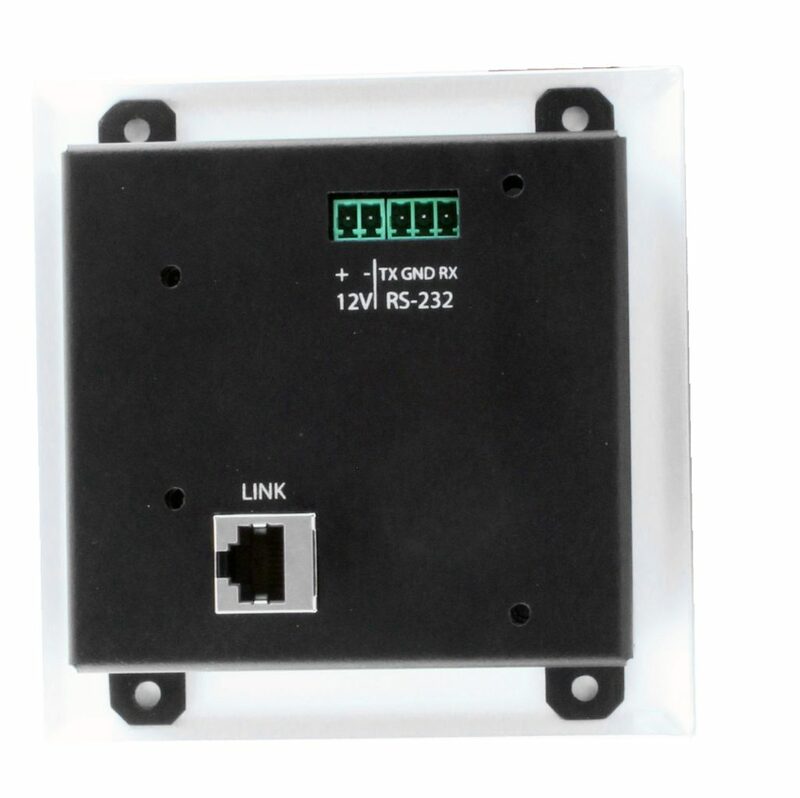 Built into walls, these CAT5 connections keep networked systems within a user's reach without taking up room with bulky hardware. Scaler, Converter, and Extender: An All-in-One Solution! Integrated with an automatic scaler and converter, the SWP-T10 bumps standard-definition picture resolution up to full 1080p (1920 x 1080 @ 60Hz) HD, and automatically recognizes signal types for optimized output. Conveniently powered by either the transmitting or receiving unit, the SWP-T10 blends SmartAVI’s signature ease-of-use with quality, highly-adaptable configurations right for any set-up. 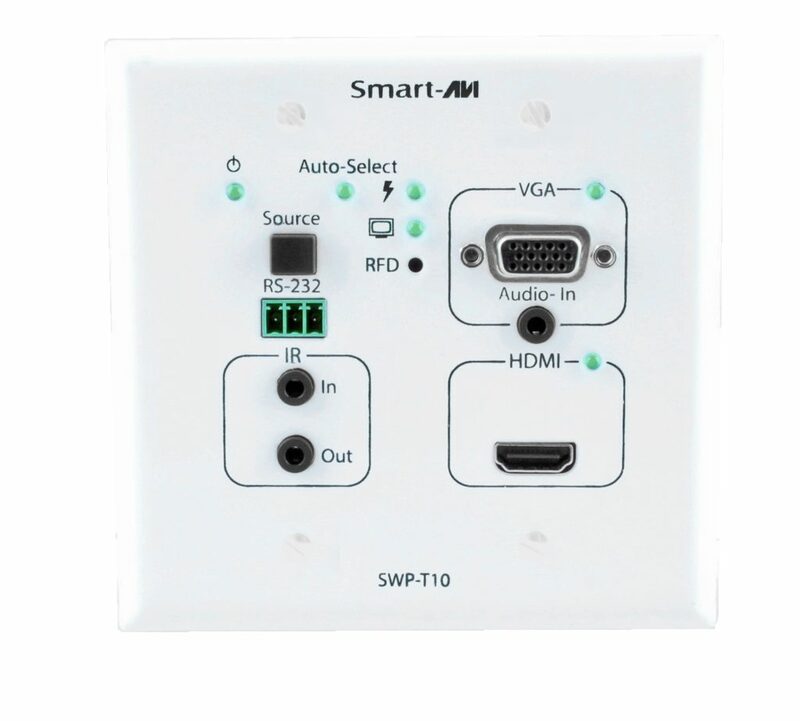 Keep your environment connected and smart with the Smart Wall Plate T10!